Recently issued Circular No. 16/2016/TT-BKHCN amends the IP Law of Vietnam and supplements it with the new provisions which come into force as of January 15, 2018. The modifications apply mostly to patent and trademark examination procedures conducted by the National Office of Intellectual Property (NOIP). These changes make IP legislation of Vietnam closer to the international practice, customizing requirements and proceedings with the leading jurisdictions. The most stringent amendment might be a cancellation of the additional 6-month term for restoration of the time limit for a PCT national phase entry. Right now applicants still have a possibility to enter PCT NP under Chapter I or II within 31 months from the earliest priority date, or within additional 6 months on condition of a surcharge payment. This option will be no longer available once the Circular takes effect. As to changes applied to trademark registration, applicants are now entitled to file objections if they receive a notification from NOIP on an intention to grant a certificate with disclaimers of the trademark elements. Such objections may be filed within 3 months from the notification. Besides, the owners with applications filed under Madrid Protocol will enjoy the amendments as they get a possibility to respond to provisional refusal within 90 days first, and only then use their right to appeal (within the equivalent time limit). Before, the option of filing a response to provisional refusal has not been set in the Law. 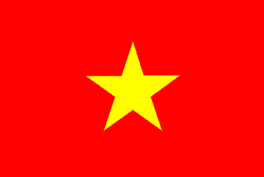 For more information on IP registration in Vietnam please see our applicant’s guide. In case you require an actual quotation with regard to IPR registrations in various jurisdictions please feel free to contact us or register for an account.